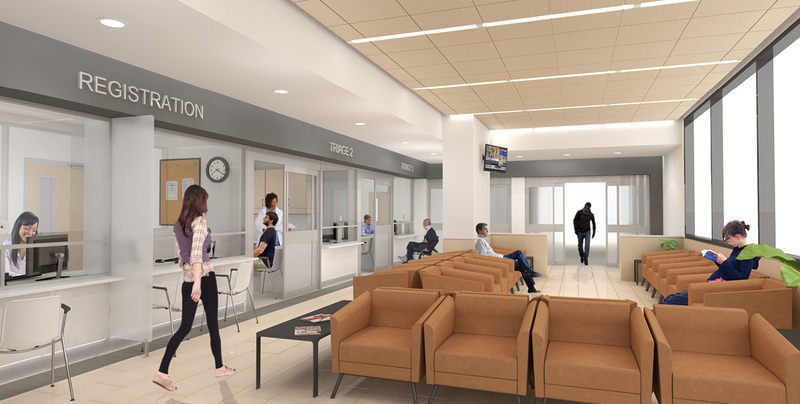 Rouge Valley Health System - Strasman Architects Inc.
SAI completed a feasibility study to retrofit the existing registration area to accommodate an improved seating configuration and circulation into and through the space. 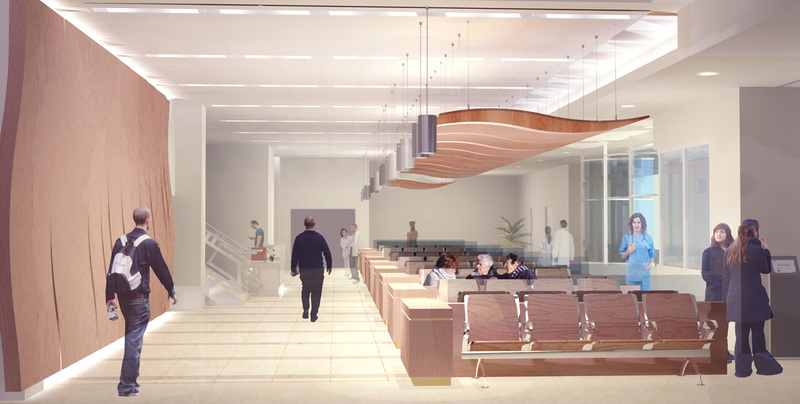 Through ceiling treatments, lighting and flooring design, a clear delineation between the waiting area and the adjacent corridor was established. 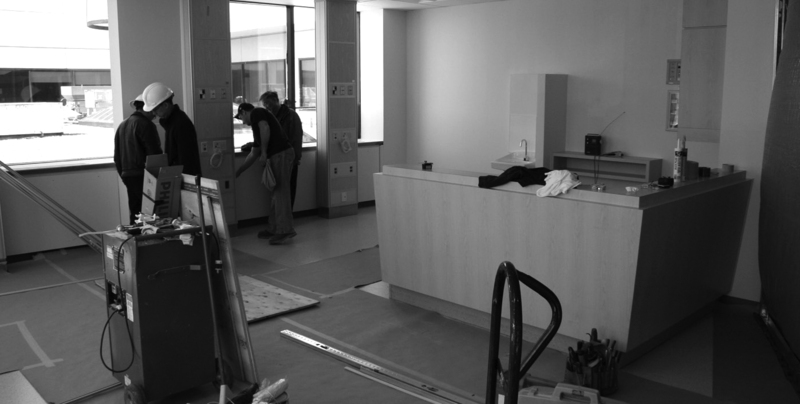 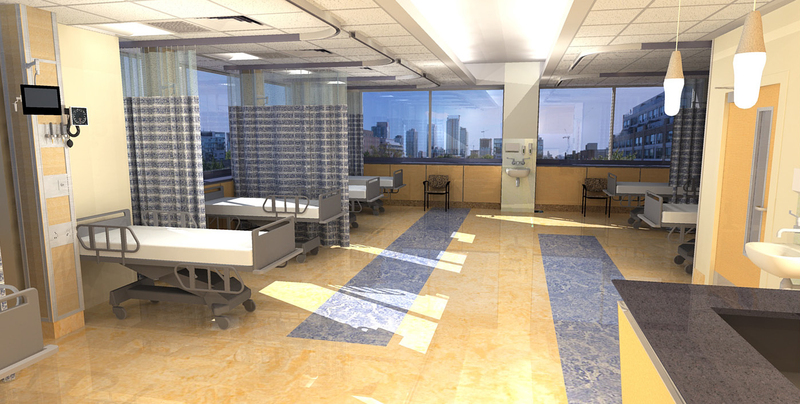 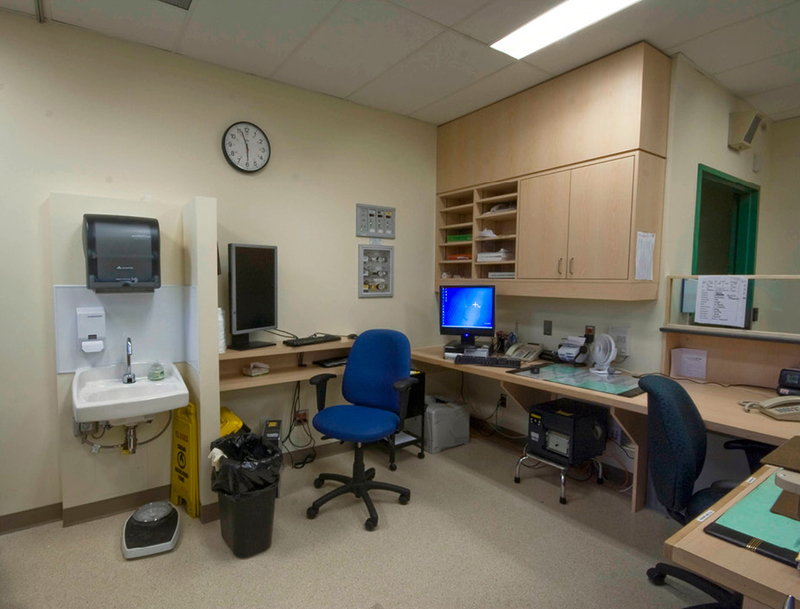 SAI was responsible for developing a schematic design layout for the expanded Cardiac program. 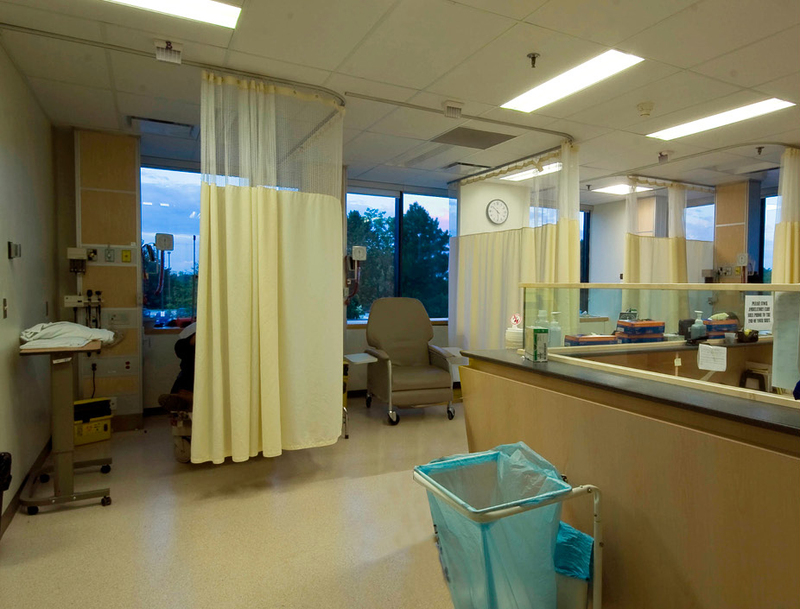 The program included additional stretcher and recliner bays as well as an expanded team station, staff and patient amenities, meeting rooms and a new waiting area.